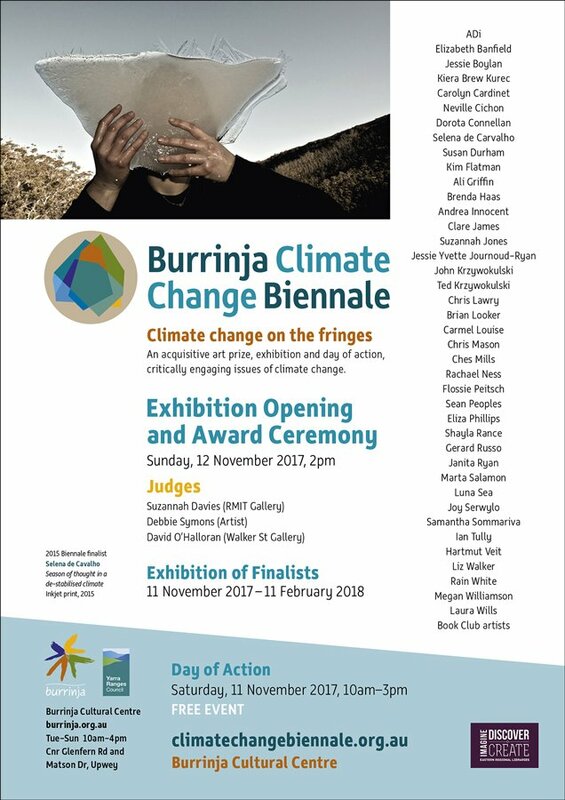 I am very pleased to be a finalist in the 2017 Burrinja Climate Change Biennale and contribute to their archive of creative responses to climate change. The exhibition will be held over a three month period in the Burrinja Arts Centre, on the eastern fringe of Melbourne, Victoria from 11 November through to 11 February, 2018. 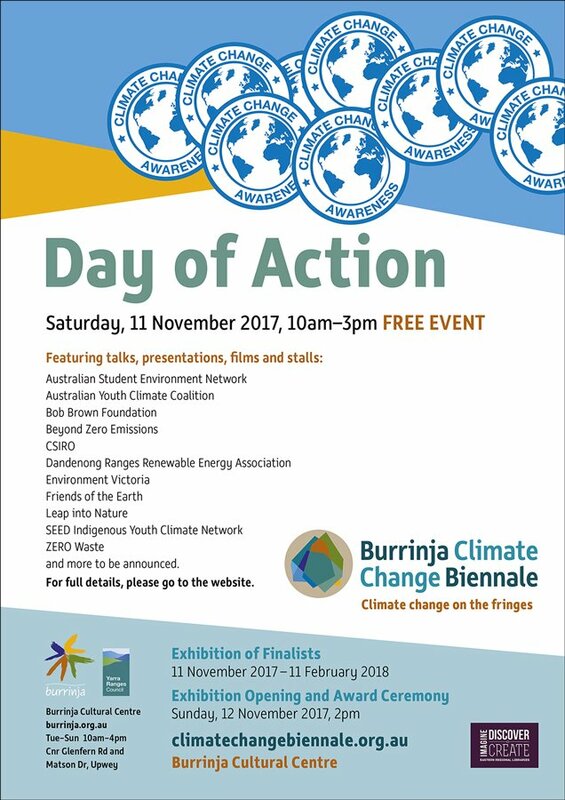 The exhibition organisers are also hosting a Climate Change Day of Action on Saturday 11 November featuring a full program of talks, presentations, films and stalls. For more details visit the Burrinja Climate Change Biennale website.